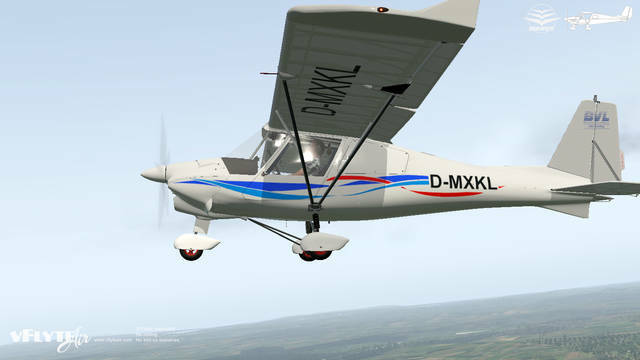 The Ikarus is the most common ultralight model in Germany and is very popular across Europe and in many other countries. 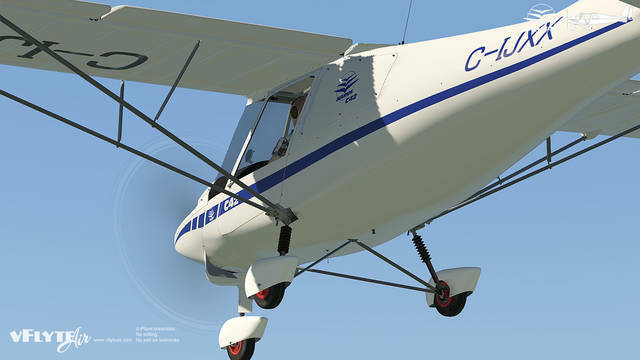 The C42C is a fabric-and-tube construction aircraft and is extremely light weight with a very good useful load. 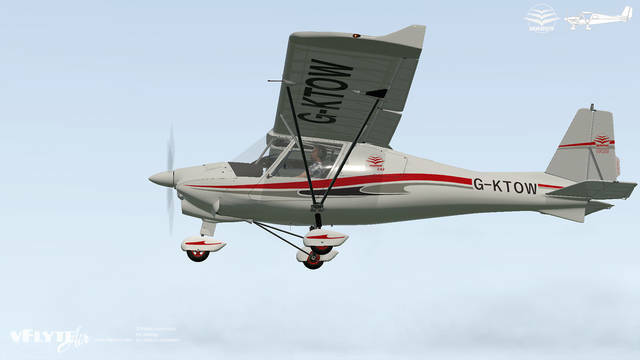 Powered by a Rotax 912 engine, the Ikarus sips fuel at a very low rate and is surprisingly roomy. 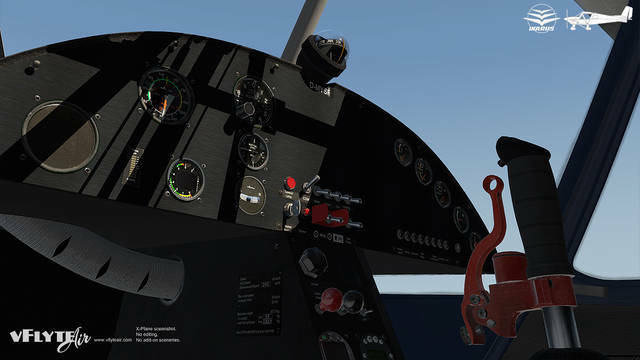 Two different instrument panels are included with the Ikarus: 'Basic Trainer' and 'Full Panel'. 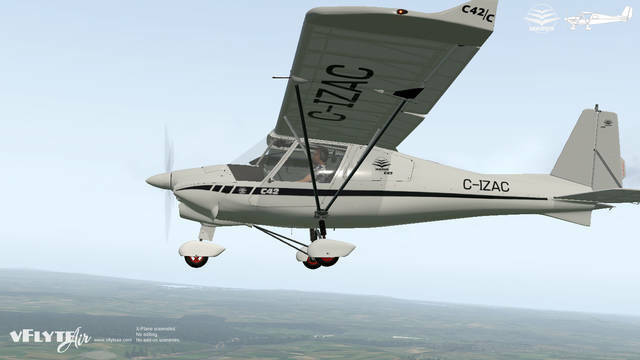 This plane is very special for us, because one of our team members is currently training for his sports pilots licence (SPL) on a C42. 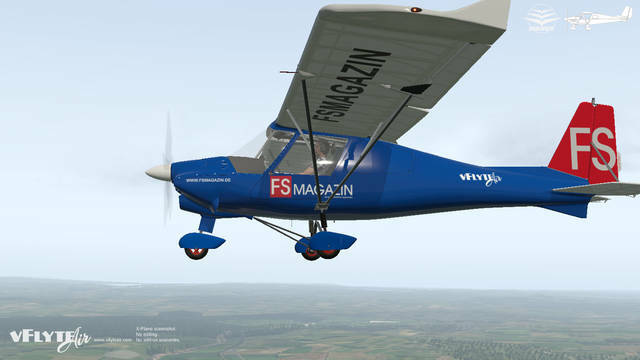 Actually, Mario flies two different C42Cs - D-MYSF and D-MNLN - which both belong to the flying school Magdeburg (flugschule-md.de), at EDBM airport in the city of Magdeburg in central Germany. 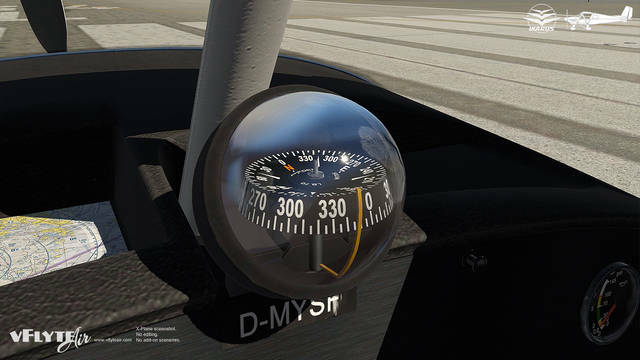 - The Basic Trainer has the essential gauges and instruments for VFR training flights (Altimeter, Airspeed, Vertical Speed (variometer), Slip Indicator, Magnetic Compass, COM radio (no NAV radio), and engine monitor gauges. 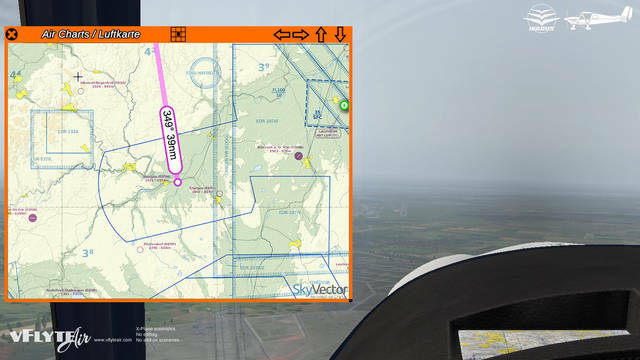 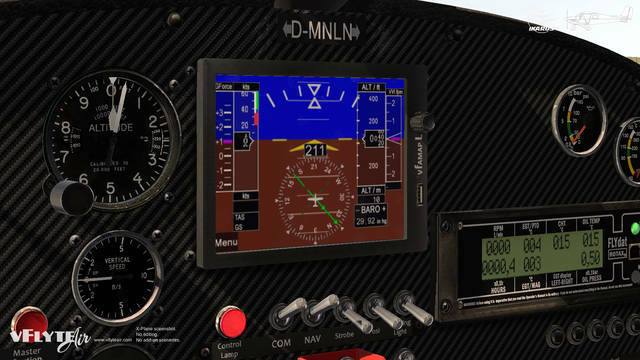 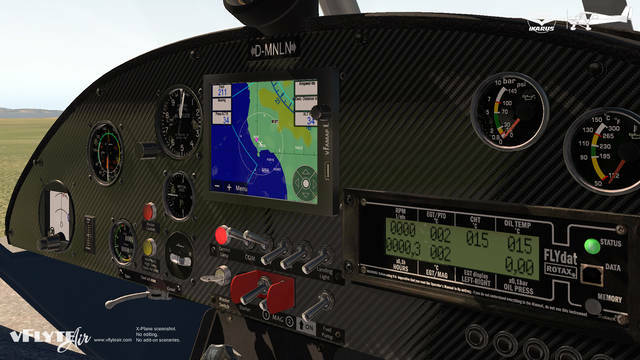 - The Full Panel version adds a transponder and a 'vfamap L' glass panel instrument loosely modelled from the flymap L – includes a simple GPS Flight Planner, an Artifical Horizon with waypoint information, and a moving-map display with GPS flight plan overlay (used the X-Plane G1000 moving map). 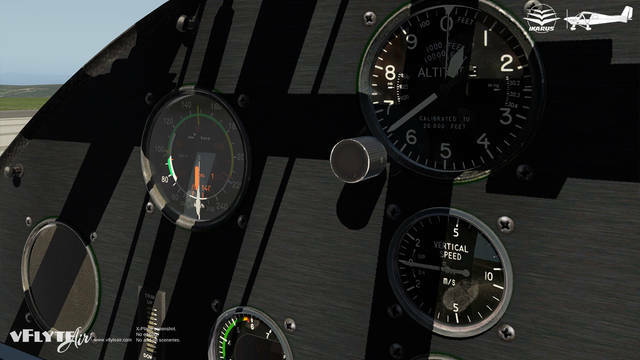 The Full Panel version also has a simulated FLARM traffic alert monitor that will track your AI aircraft. 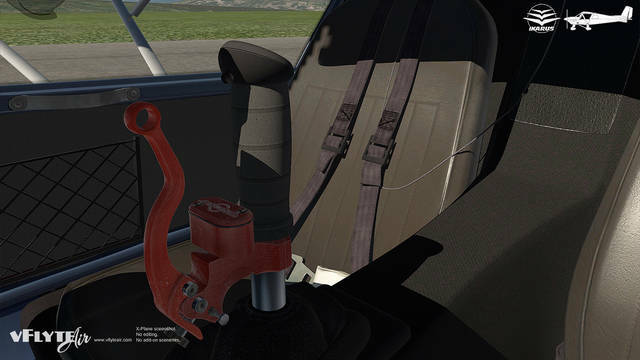 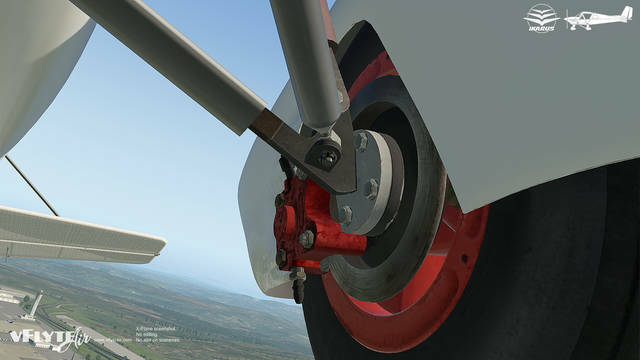 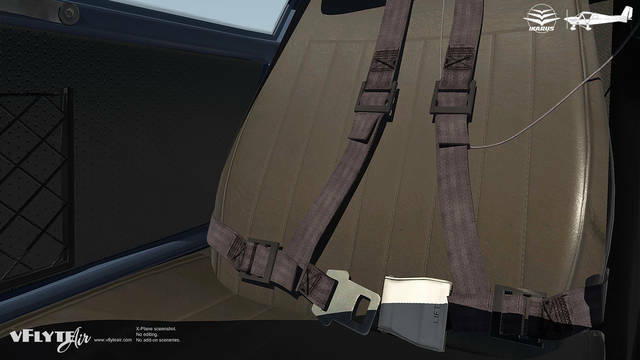 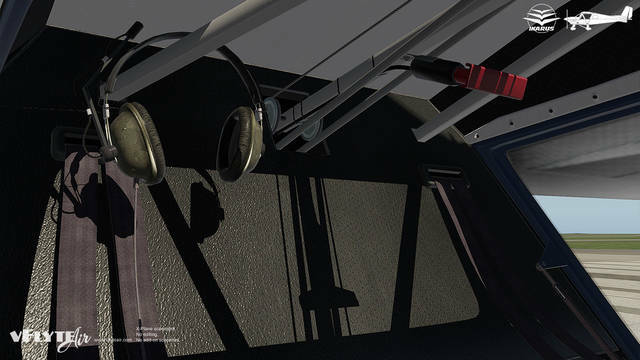 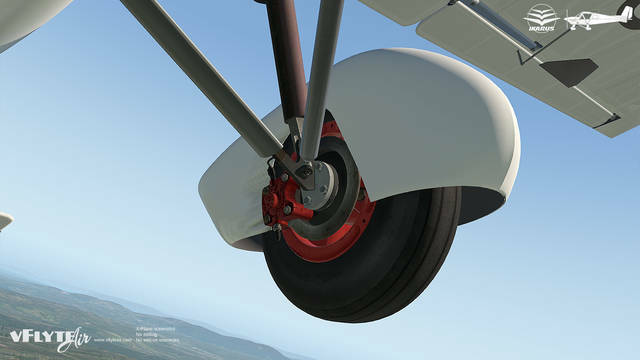 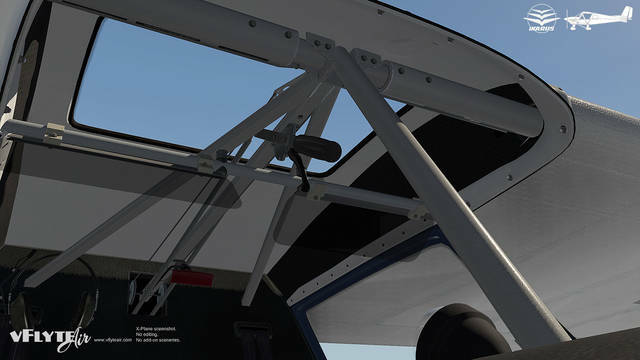 Interactive, animated virtual pre-flight inspection takes you on a guided walk-around of the Ikarus (VR compatible using teleport hot-spots) using interactive checklists. 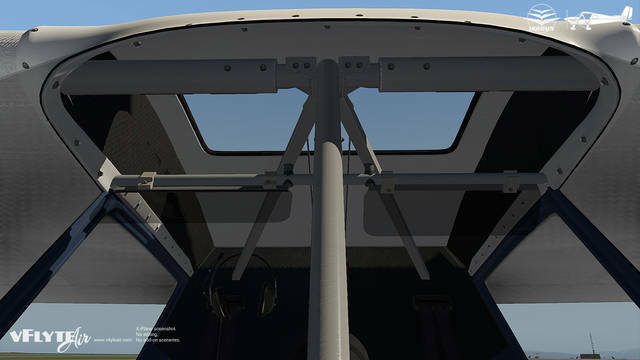 If you conduct your pre-flight in early morning or late evening, spotlights are automatically provided at each of the six inspection stations. 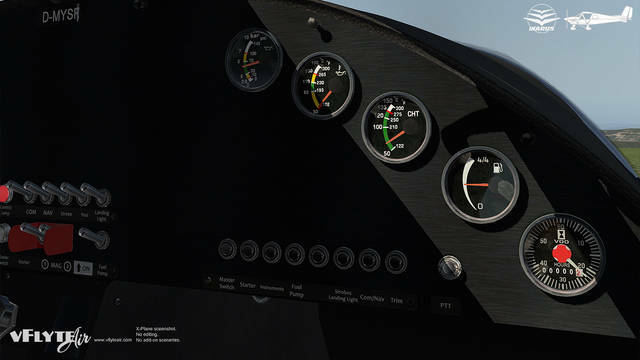 We even simulated the famous Rotax engine 'burp'! 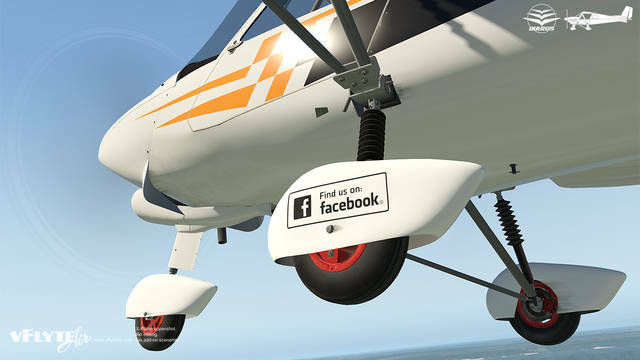 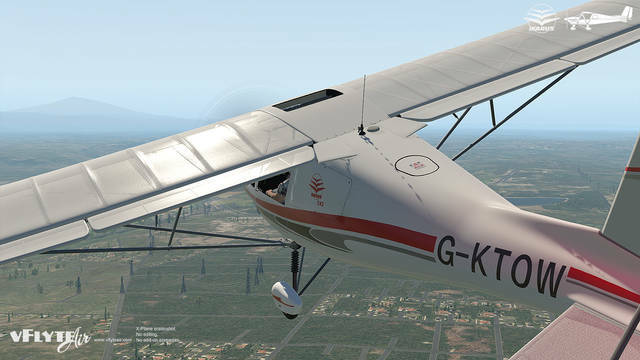 Over 75 different save-states are recorded each time you quit X-Plane or unload the Ikarus. 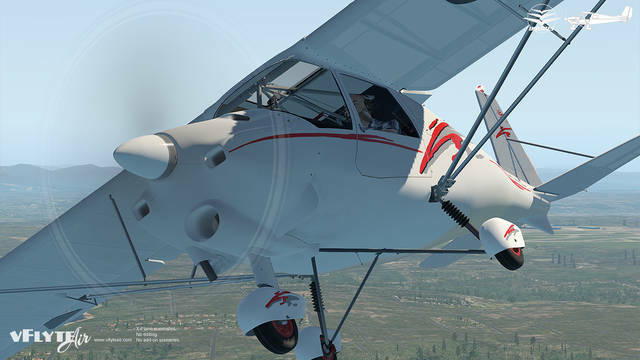 Save-states are reloaded the next time you fly. 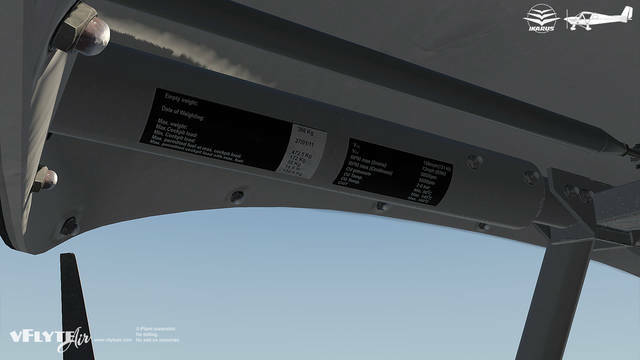 Save-states include options choices, settings, switches, doors, vents etc. 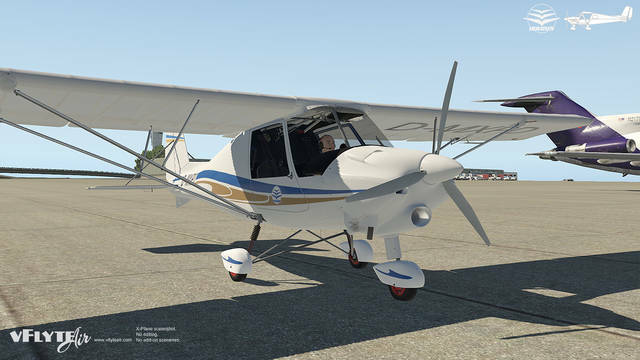 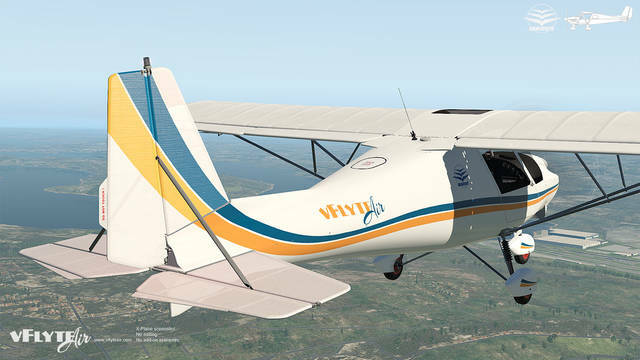 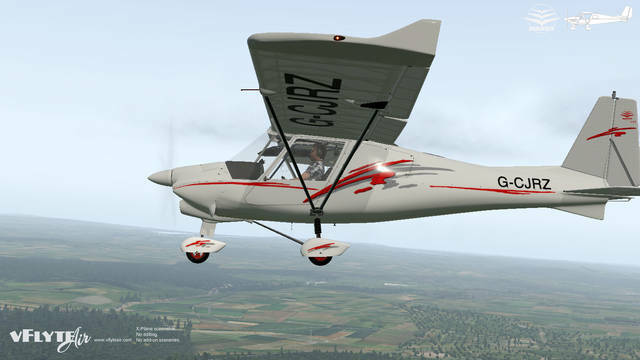 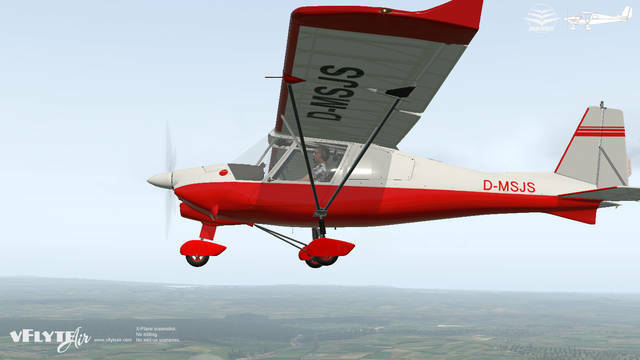 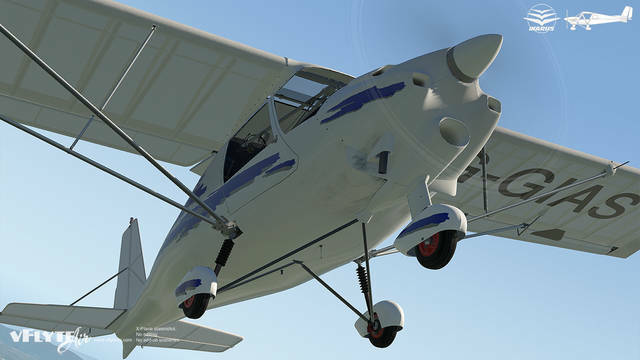 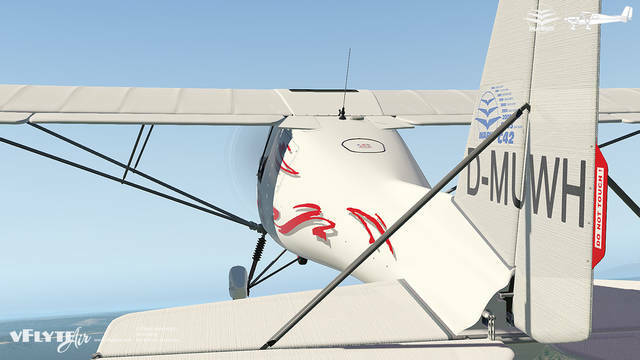 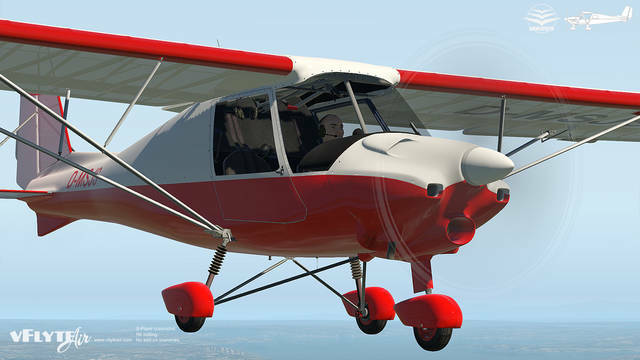 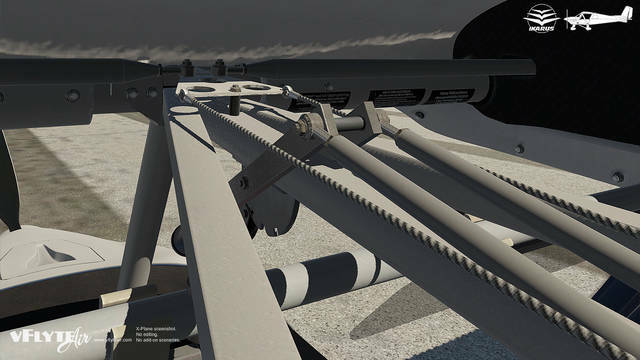 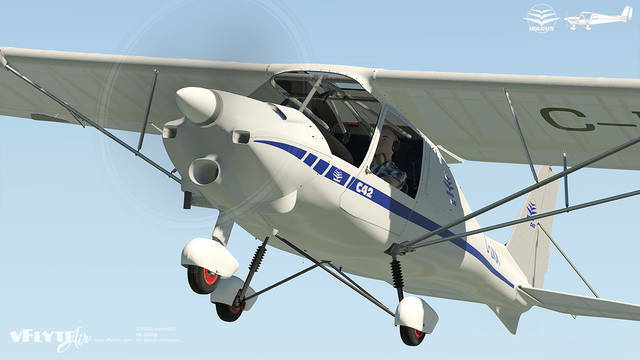 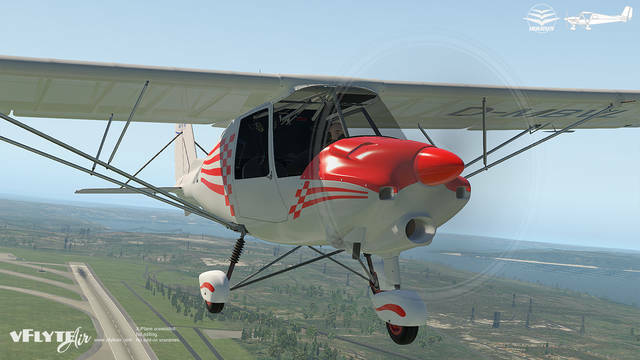 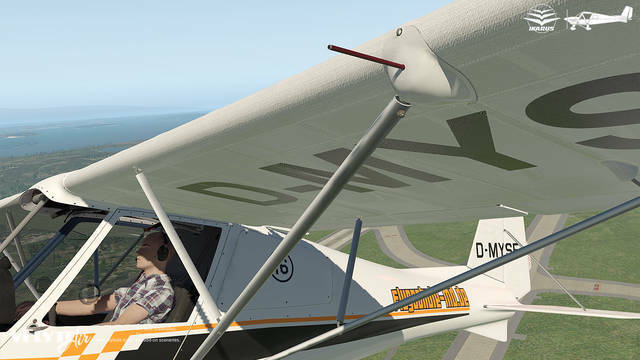 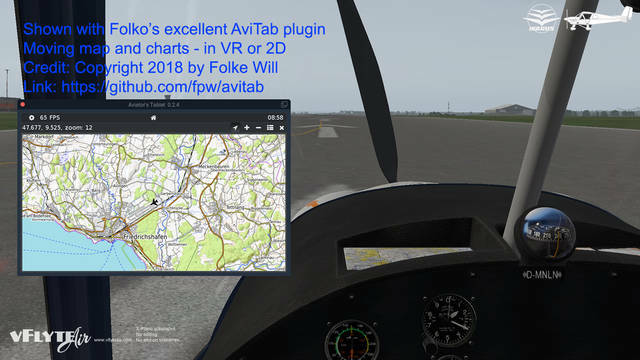 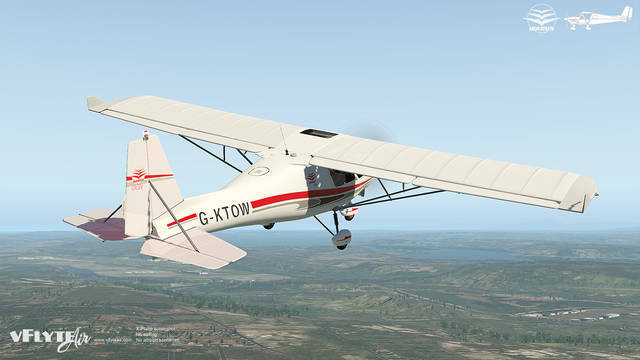 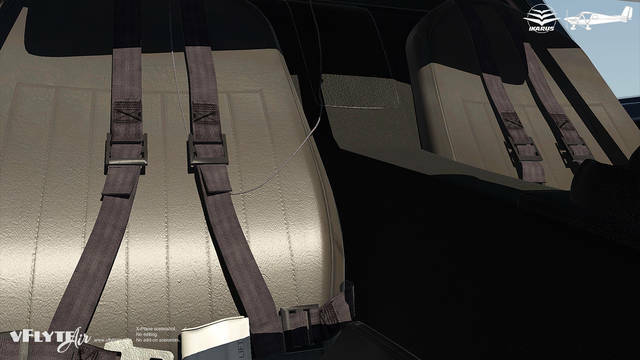 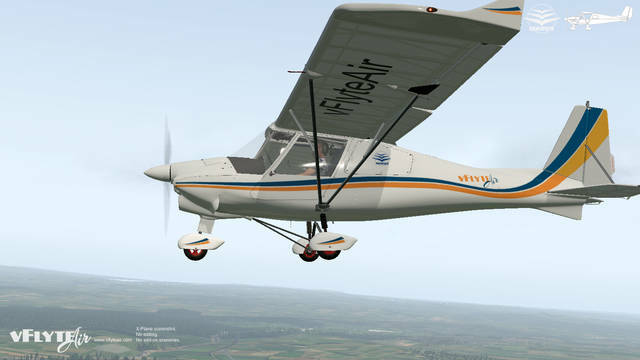 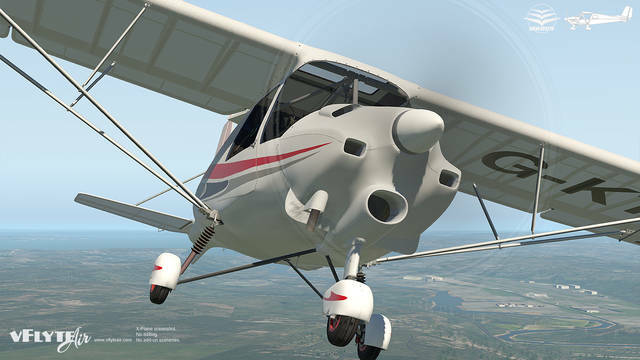 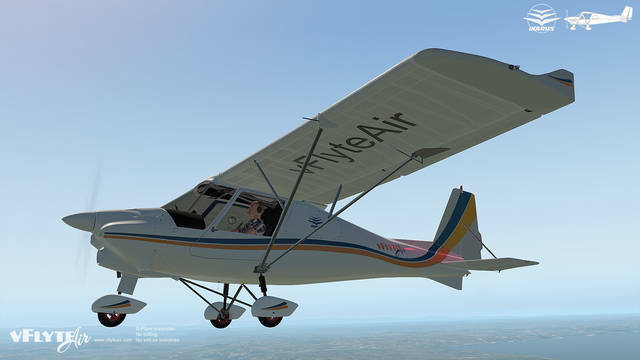 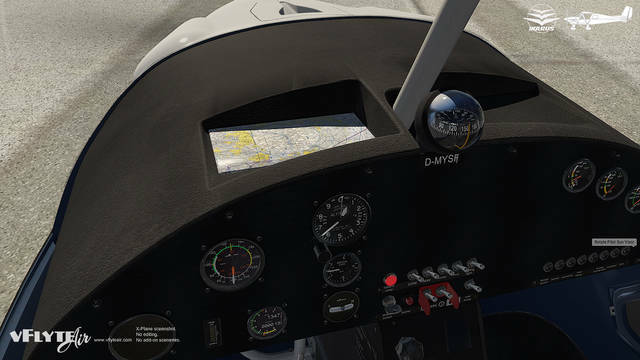 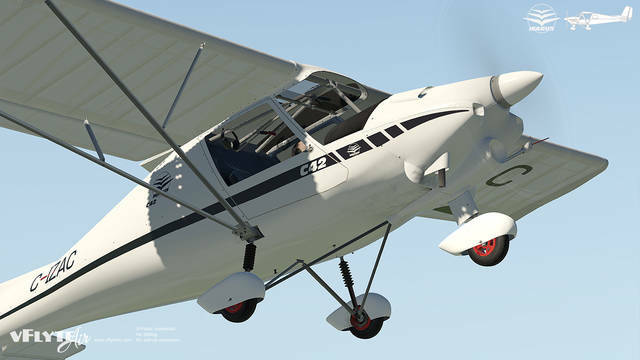 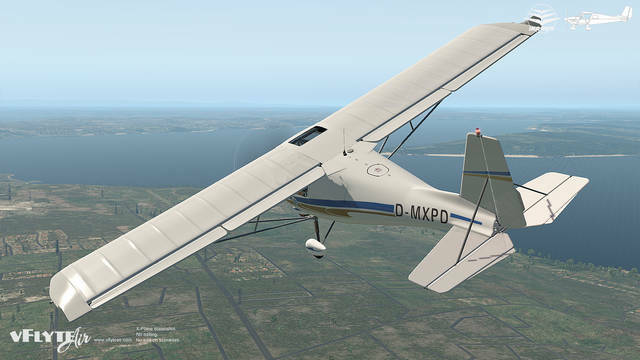 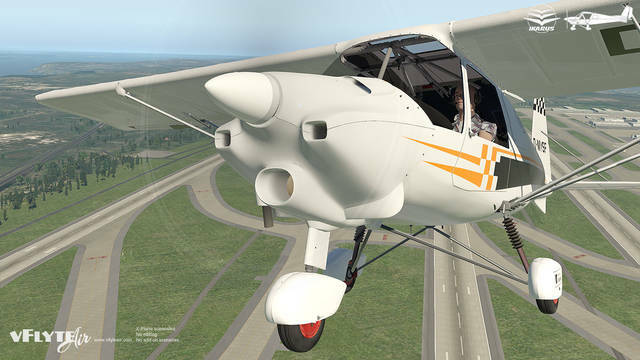 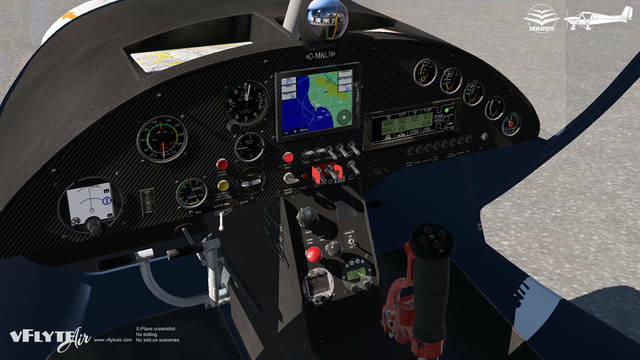 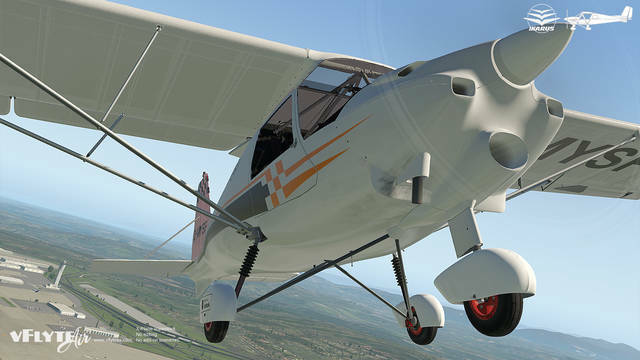 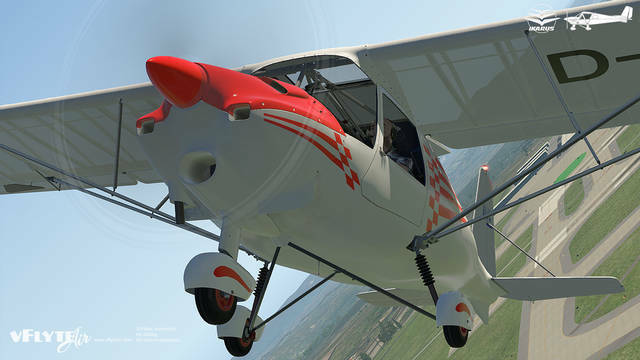 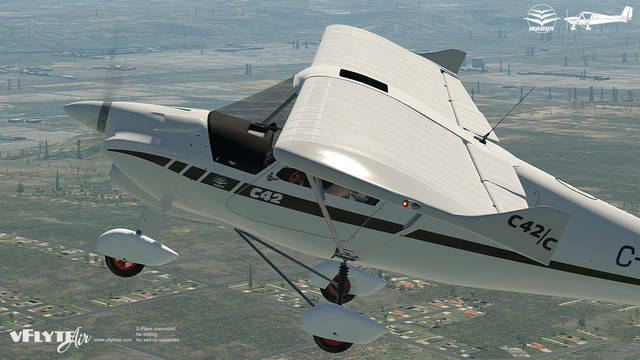 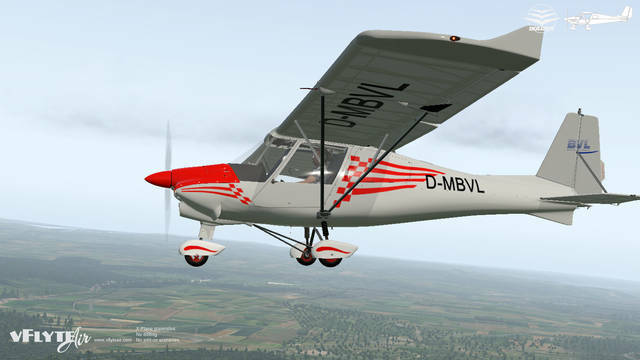 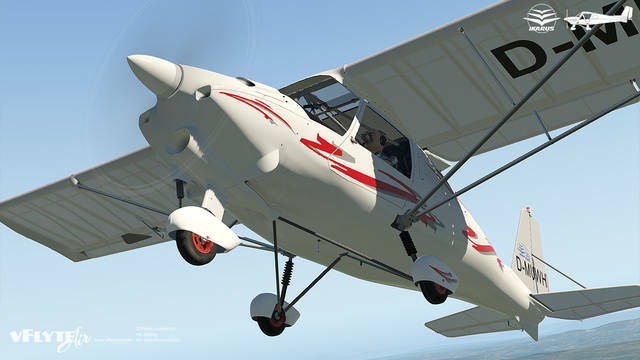 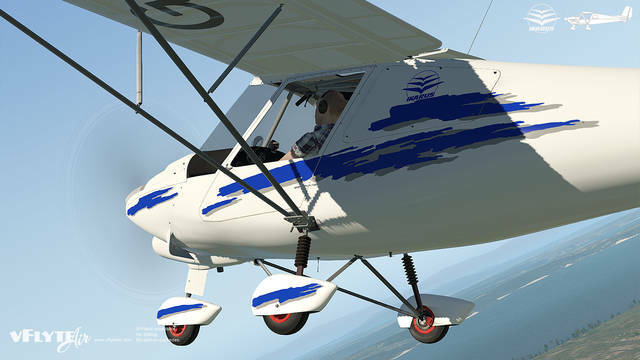 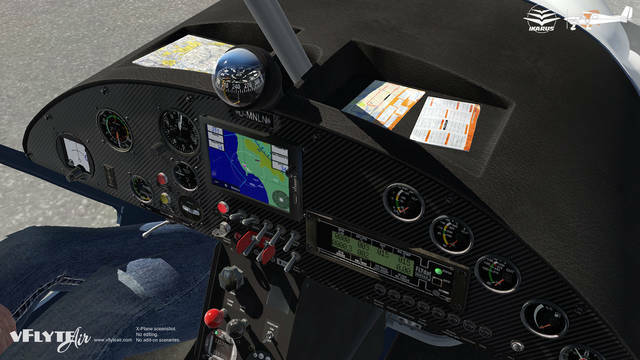 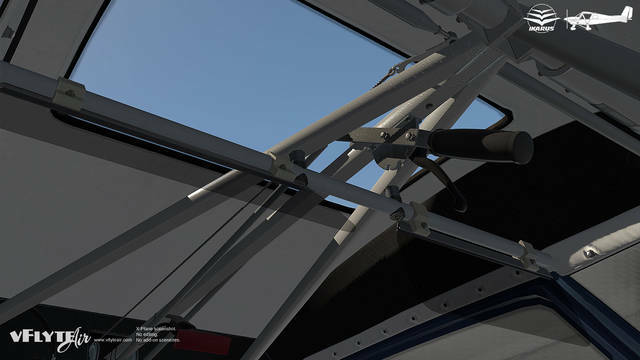 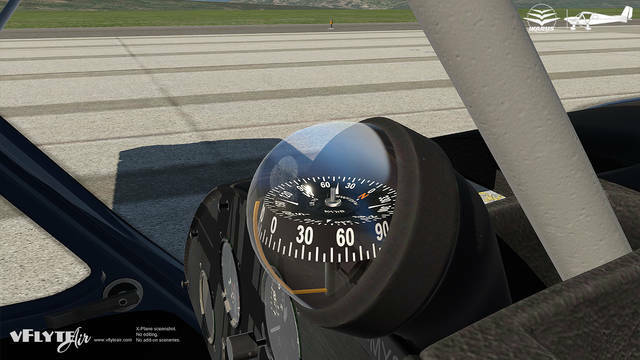 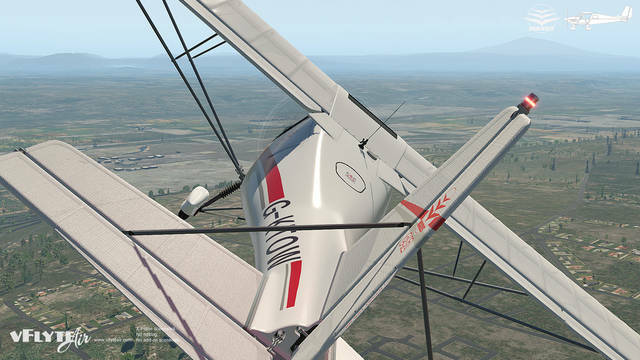 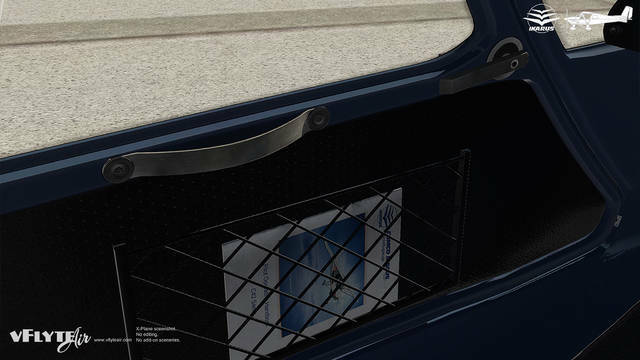 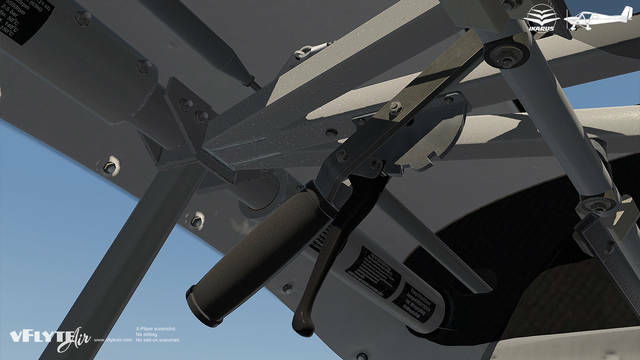 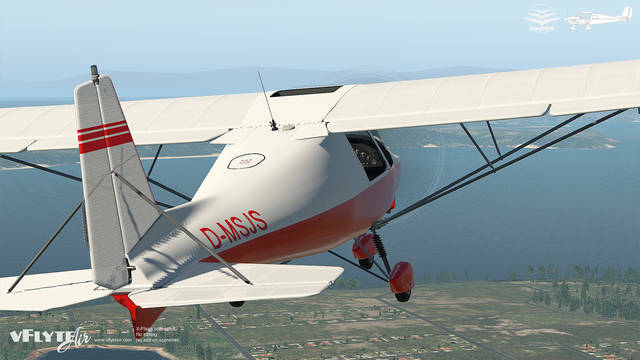 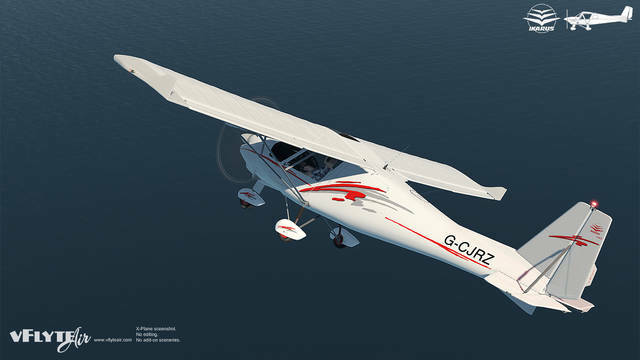 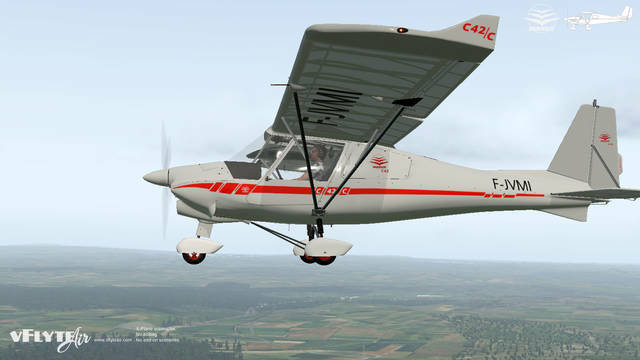 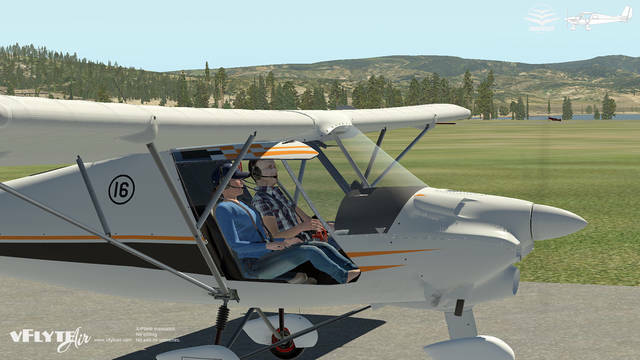 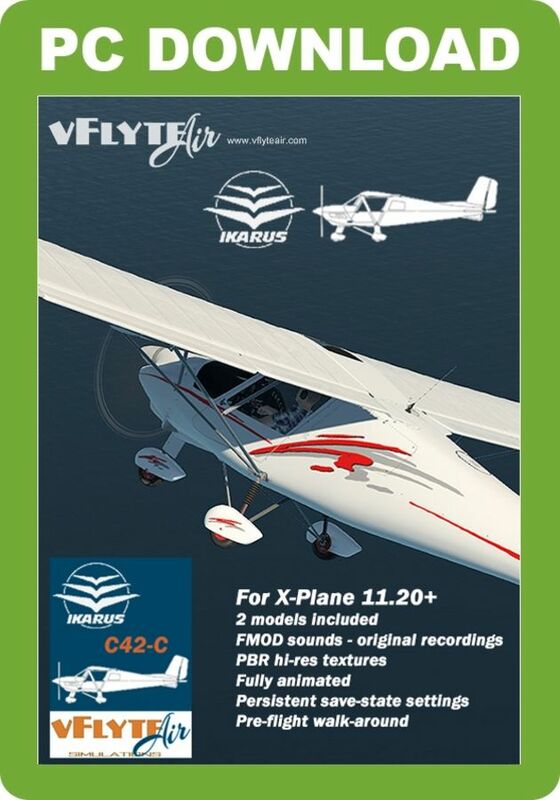 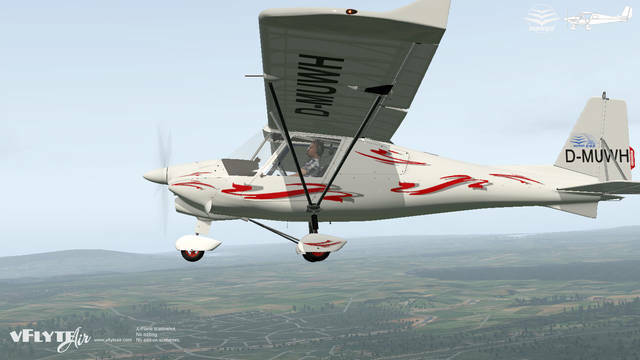 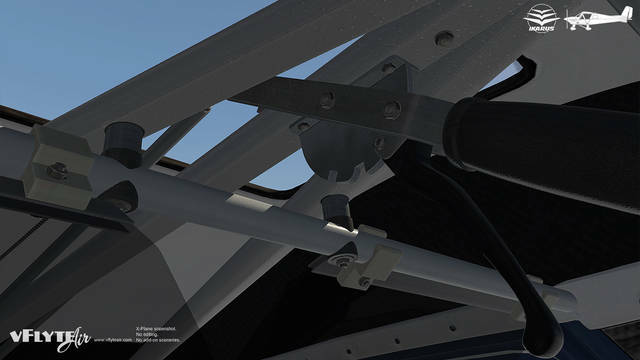 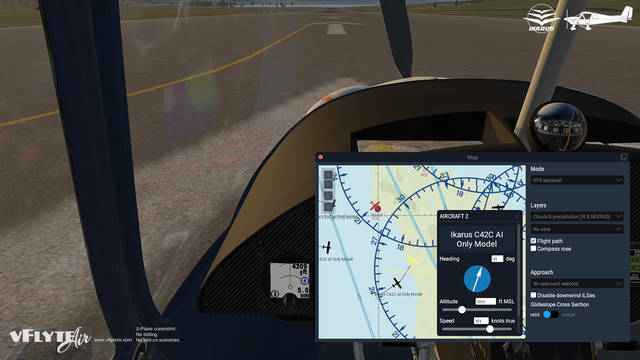 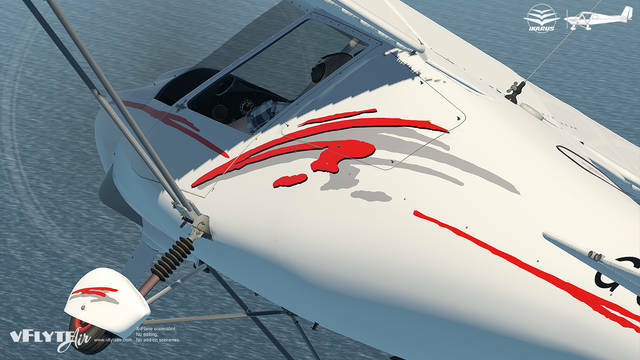 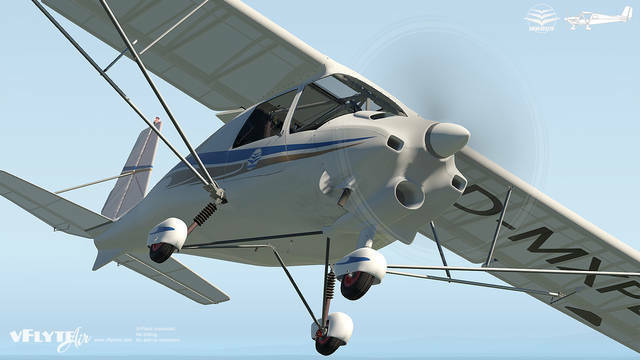 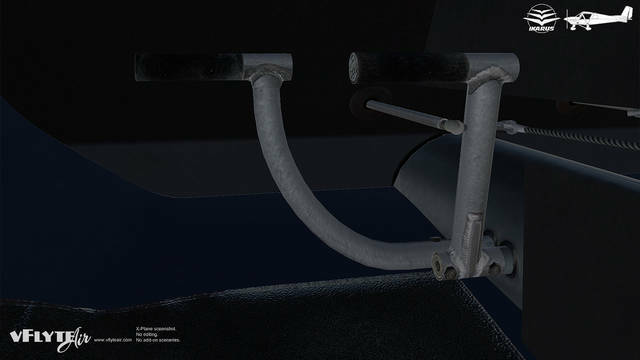 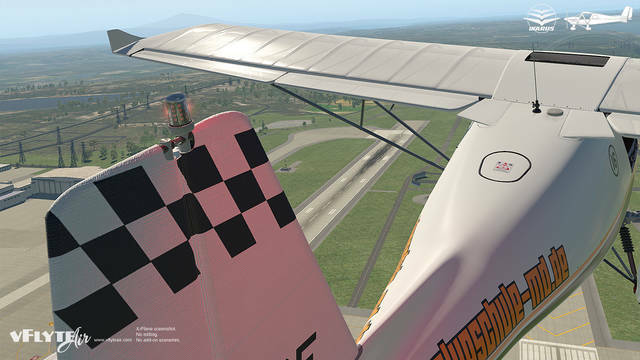 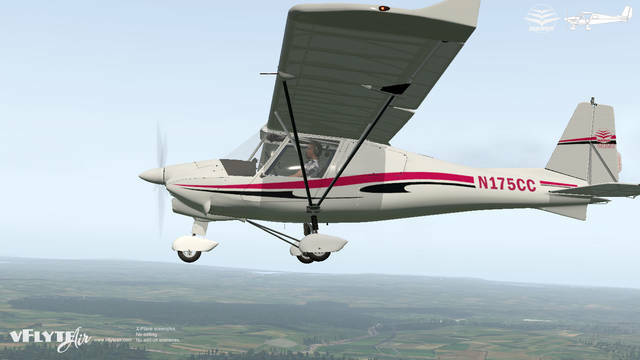 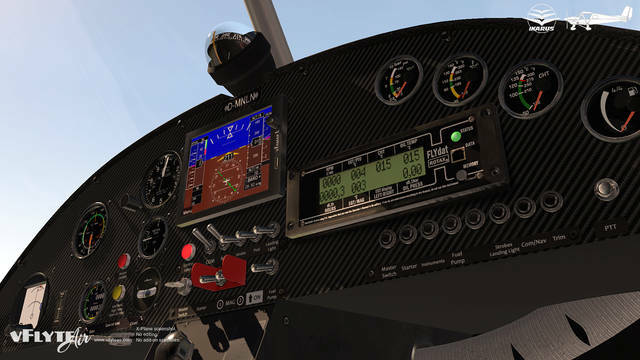 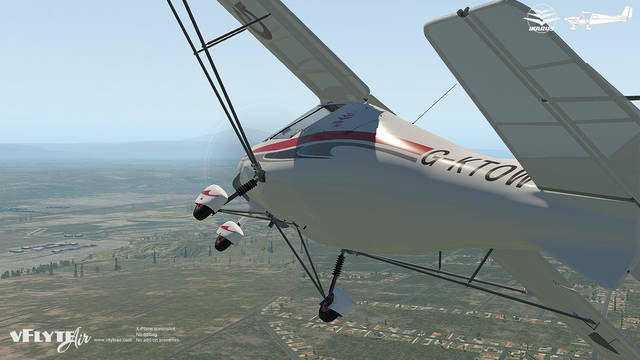 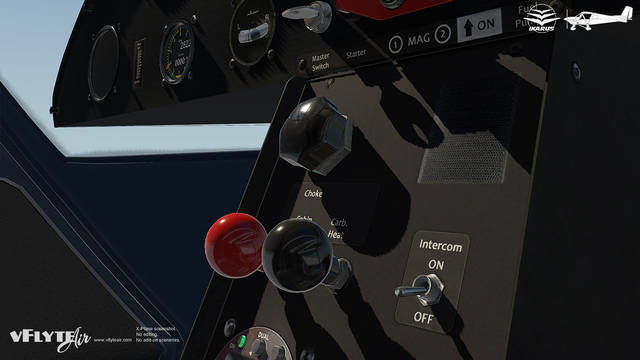 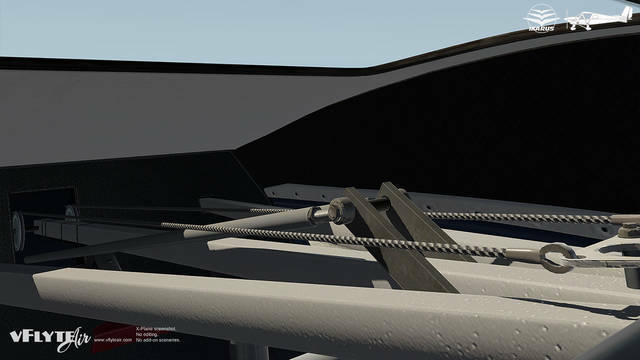 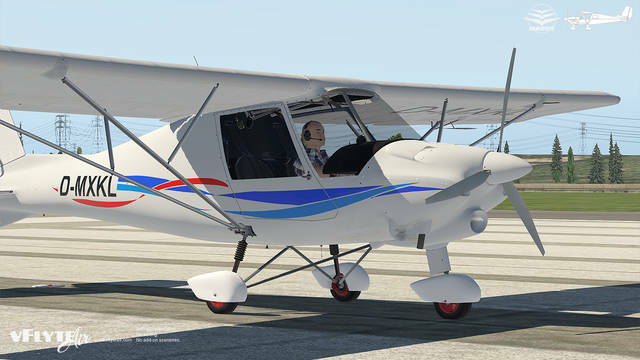 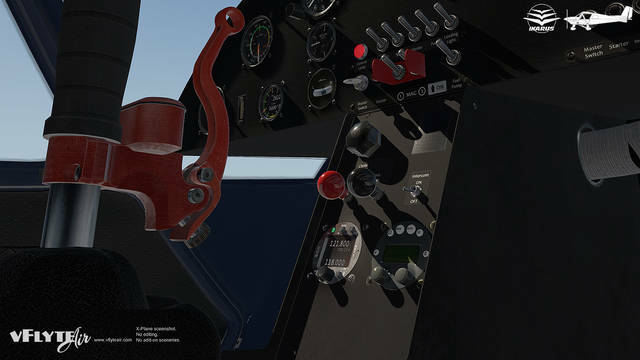 vFlyteAir's Ikarus C42C two-seat ultralight trainer for X-Plane 11 comes in 14 paint scheme and features 'Basic Trainer' and 'Full Panel' instrument panel options. 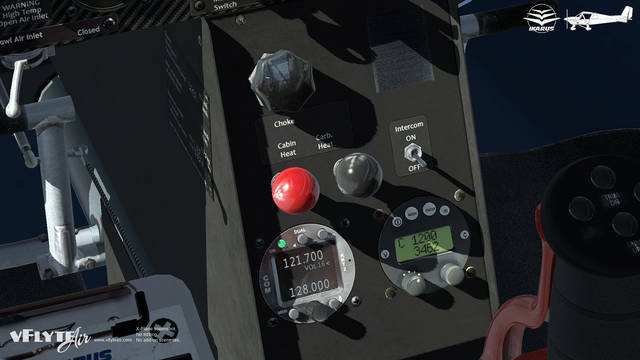 Among the many impressive features are over 85 original sounds recorded from the real aircraft, an interactive virtual preflight inspection, pop-out gauges, PBR rendering effects, VR optimisation, realistic BRS parachute and custom HDR lights.